﻿ Pingouinvillas Pulau Mauritius. JIMAT di Agoda.com! Sama ada anda melancong atau ke luar kawasan kerana kerja, Pingouinvillas merupakan pilihan penginapan hebat ketika melawat Pulau Mauritius. Hanya sejauh 8.0 km, hotel 3-bintang ini boleh diakses dengan mudah dari lapangan terbang. Bagi anda yang ingin pergi agak jauh, Tapak Diving La Grotte aux Langoustes, Tapak Diving Colorado, Tapak Diving Roche zozo merupakan beberapa daya tarikan untuk pelawat. Ambil kesempatan daripada pelbagai perkhidmatan dan kemudahan yang tiada tandingan di hotel Pulau Mauritius ini. Tetamu hotel boleh menikmati kemudahan seperti Wi-Fi percuma semua bilik, Wi-Fi di tempat awam, tempat letak kereta, khidmat bilik, pengangkutan lapangan terbang. Hotel-hotel telah direka demi keselesaan dan memudahkan tetamu. Sebahagian bilik menyediakan televisyen skrin rata, internet wayarles, internet wayarles (percuma), bilik larangan merokok, penyaman udara. Sepanjang hari anda boleh menikmati suasana yang santai dengan taman. Kemudahan yang hebat dan lokasi yang sangat baik membuatkan Pingouinvillas menjadi asas yang sempurna untuk menikmati penginapan anda di Pulau Mauritius. Pemindahan lapangan terbang disediakan tanpa sebarang caj tambahan untuk tetamu yang menginap sekurang-kurangnya 4 malam. Shuttle lapangan terbang disediakan dengan caj tambahan untuk tetamu yang menginap 1 hingga 3 malam. The apartment is big with 3 bedrooms and 1.5 bathrooms. Wifi was good. It located within 10 minutes walking distance to the beach. There are only 2 restaurants nearby the beach. No grocery stores nearby. Quiet environment. The owner is very helpful. Our flight was 3am and he drove us to the airport in the midnight with certain reasonable charges. This is a decent hotel if you need a place close to the airport and/or Blue Bay. It's very spacious and the suites are fully equipped for self-catering. Airport shuttle is available for 15 euros, but a taxi is slightly cheaper if you negotiate at the airport a bit. Pingouinvillas is located in a residential area, perhaps a 15 minute walk to the beach and a couple restaurants and small food stalls. This place is by no means a luxury hotel (beds are hard, a few things were broken or worn out) but the price reflects this fact. Very pleasant overnight stay and excellent value for money. We had a stopover and wanted an apartment close to the airport. We arrived late and needed to ring the owner to make arrangements to get in, so advise when booking of your arrival time. The apartments are in a street a few minutes' walk from the beach. The flat is not luxurious, but is clean and comfortable and well appointed. 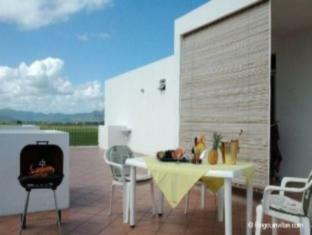 There are three bedrooms, a good lounge and wide balcony, and a good sized eat-in kitchen. To use the Internet you need to sit out on the balcony, but given the lovely weather (even in June), that is not a problem. Recommended as a comfortable place with good value for money. I had a very nice stay at The Pingouinvillas. Staff were dedicated to the guests and offer outstanding customer service. Especially Salim who picked me up at the airport and dropped be back when I left. He organised breakfast to be delievered to my room in the morning, and he was always available for me. He paid attention to details, and he showed great kindness and diligence. My room was very spacious and clean, it had wifi internet, and a big terrace overlooking the bay and the mountains. 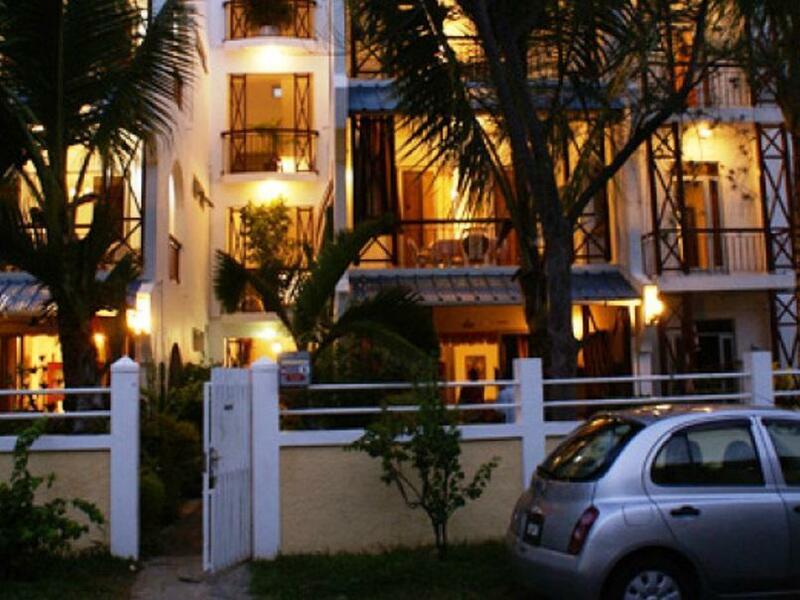 The hotel is located to a walking distance to the beach. The surroundings are quiet and safe. The hotel was 10 minutes only by car from the airport, which is very convenient, especially after a long flight or when arriving late at night. Blue Bay is a very nice part of the island and it is very well connected with local transports to Mahebourg and the rest of Mauritius. As a group of friends we were looking for an apartment for our stay. Finally we decided for Pingouinvillas and I can recommend you to do the same. The owner is a really nice guy. He picked and dropped us at the airport. His son-in-law, who runs a car rental is also very nice and helpful. We stayed in the rooftop Apartment. Apartments are nicely furbished and offer everything you need for everyday cooking (from coffee spoons to roasting pan). The Blue Bay public beach is just 5 minutes away. 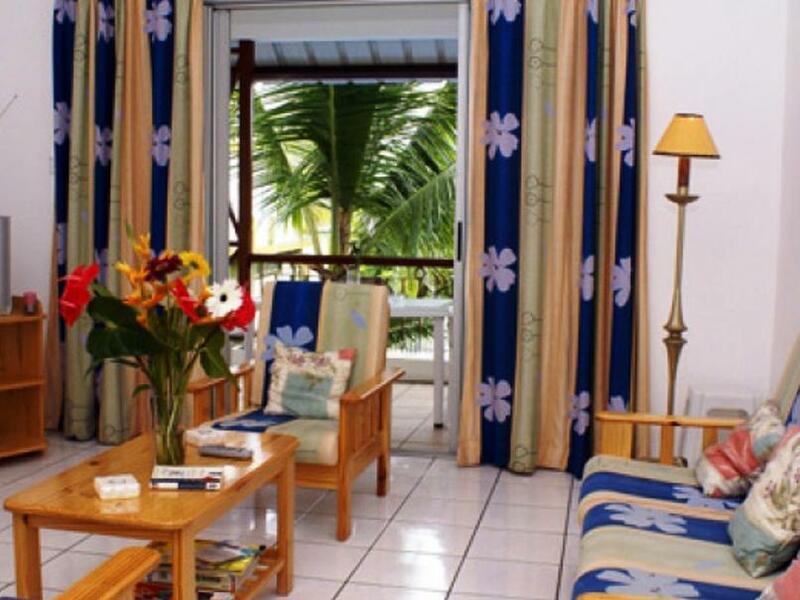 Pingouin Villas is a clean, basic self-catering accommodation located only a 10 min drive from the airport and a 5 min walk from a stunning beach at Blue Bay. When we went, the main building was full, so we were shown to the overflow building behind, which was a cheaper and very basic backpacker style room with kitchen and bathroom. We asked the owner to show us the main building before we left, which was of considerably higher standard. While we stayed a fisherman came to offer us freshly caught fish and shrimps. Since we had no ingredients to cook with, he offered to cook it up and bring over ready to eat. The shrimps in garlic were probably the best I have ever had. Ok.Det fattades flera köksredskap=svårt att laga mat,ingen luftkonditionering och enbart fläkt=olidligt varmt när det är 30 gr varmt på natten, hotellägaren arrogant, otrevlig,ej tillmötesgående. Wer länger bleibt, bekommt die Wohnung mit Meerblick angeboten, wir mussten in der wesentlich schlechteren Wohnung im Erdgeschoss übernachten, auch der kostenlose Rücktransport zum Flughafen entfiel.